This blog is intended as a bulletin board to show the quilts I've been making on my vintage and treadle sewing machines. My husband and I collect antique and vintage sewing machines and I use them to make all my quilts. Here are some of the results. Every year the Elgin Piecemaker's quilt group does a challenge. This year it was a "Fold it - Snip It - Rip it - Pass it - Make it" challenge organized by Deb and Joanne. We had to bring a yard of batik fabric to the October meeting as well as a pair of fabric scissors. We stood in a circle and clipped our yard in half and ripped it, keeping one half and passing the other half to our neighbour on the right. We continued doing this til we had 7 different fabrics, each half the size of the previous one. There was only one rule: at least one piece of each of the 7 batiks must be used in our project. We could add any fabrics and make whatever we wished. Back of my wallhanging. I bought these fabrics on a trip to PEI a few years ago. Since the pattern was California houses, a beach theme was appropriate. Our grand reveal meeting was held at the end of March. Here are the projects that the other ladies made. They were all amazing and the judges had a very difficult time choosing two winners! And, we all had a hard time with our viewer's choice vote!! Deb burned the midnight oil finishing her table runner! Deb won 1st place for her lovely modern table runner. We already have two volunteers to challenge us for our next challenge in the fall! Can't wait to see what they have planned for us. We did this challenge at day guild too and the viewing will be at our June meeting. It is wondrous to see what everyone did with their challenge. We did this as well and ours was not as controlled as yours. We ended up with florals and Primitive’s and novelty etc. It was definitely a challenge! Yours are great! 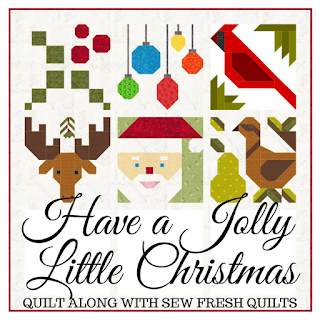 I just moved here from NB and I need to find a new quilt group. We live in Mildmay. Can you steer me to a guild in the general area please. Interesting challenge. I would want the fabrics to be pre-washed, since I've had lots of fabrics run colors, especially batiks. I have been quilting since 1989 and do most of my quilting on a 1951 Singer 15-88 treadle sewing machine. My husband and I collect antique and vintage sewing machines and enjoy finding, cleaning, restoring and sewing on them together. Well, my husband doesn't do much sewing :-). But, when we demonstrate machines at museums or other shows, we have a stack of patches ready. Someday, there will be enough four patches to make into a quilt! Antique machines wanting a new home!